Photograph: President Barack Obama sits with a roomful of people. Summit meetings are an important part of diplomacy. Summit meetings include meetings between chiefs of state as well as top leaders in the nations' foreign ministry (called the Department of State in the U.S.). 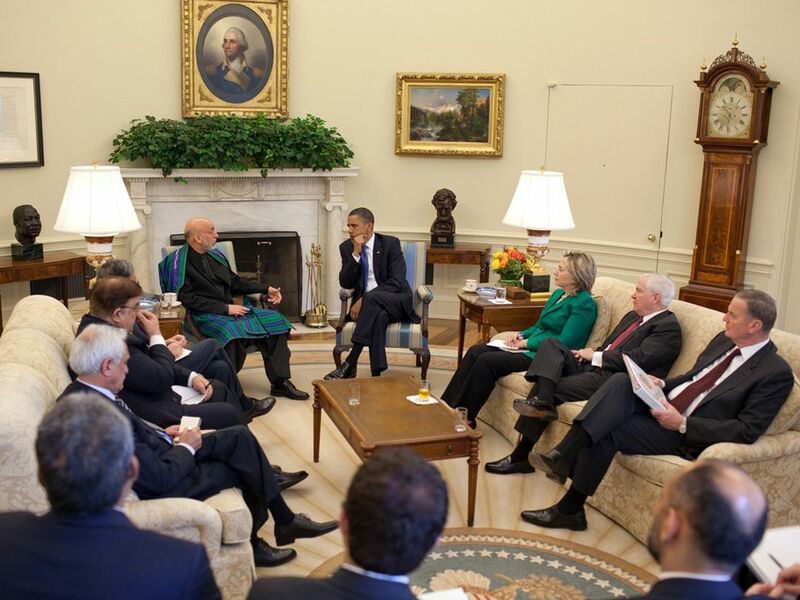 Here, U.S. President Barack Obama and Secretary of State Hilary Clinton (clockwise from top) participate in a summit with Afghan President Hamid Karzai. Encyclopedic entry. Diplomacy is the art and science of maintaining peaceful relationships between nations, groups, or individuals. Often, diplomacy refers to representatives of different groups discussing such issues as conflict, trade, the environment, technology, or maintaining security.